App simply does not work. The app has pulled in zero content. Now the opening page uses a grey type font on a white background. Very stylish. Very stupid. Fight grey (and gray fonts)! Demand legibility! I want my money back! Great concept but just buggy. Blank windows pop up on the bottom. Certain news sources freeze the screen. There is so much potential and lack of attention to detail. 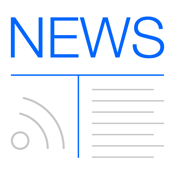 Nice app for organizing news. However this paid for version allows pop up ads to block your reading experence. REALLY ANNOYING! Better off with the free version. Same functionality without the rude pop-ups. All sorts of news feeds in one place! It's my go to app for the latest news from so many sources. 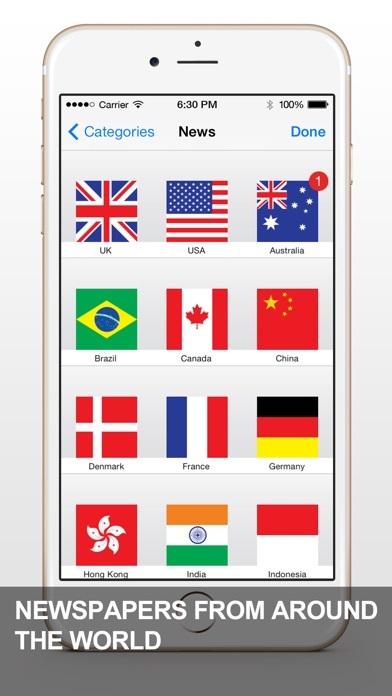 The app gives you the capability to get international perspectives of news stories. Every country/government/press puts their own slant on the articles they publish. It's great to all the different 'style'. I paid for the app because they weren't updating the other one. Yet this app is subpar, the only reason I preferred the unpaid app was that I could add a website as a source. This app that's a no-go, and they only offer MSM. I have been looking for a good news app for a while. I love this one so far. Just hope the updates don't take away from the product like so many others have. When will you fix this??? Please fix this app! As soon as you open it, it crashes! I've always enjoyed this site, I hope it gets fixed soon! I would have given it 5 stars before this last update. Would be five stars but I can't switch between sections. Moreover I can not find settings button. Best News App out there! Great App. Great for my morning news routine. The new icon looks awful and the app crashes instantly every time I try to load it (the browser crashed often when loading articles even before the update.) Fix this or change it back. Very handy app. Let's you choose from all news from anywhere in the world. 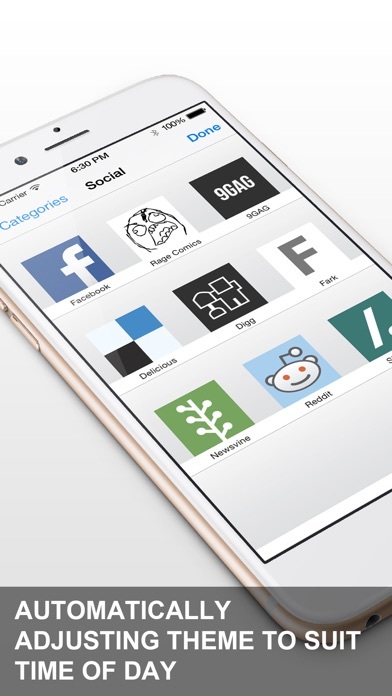 This app is easy to setup, organize, and read. Very pleased with it. This update is just egregious. It always opens with an error message, it only displays one line of the headline, the source thumbnails are all default. The list goes on. BOTTOM LINE: DO NOT GET THIS UPDATE. This app gives me access to all of the news in all the categories I want. Even gives me access to semi local news, love it. This app is the best news aggregation app I've used on a phone ... I use it daily to catch up quickly. It's a go-to app for me every day. Crash, Crash, Crash . . . This could be a great app. But it isn't even good due to near total instability. It crashes all the time. Pity. This was working really well until I upgraded. Now? Nothing. Crashed Too bad. Easy to use, easy to follow. I definitely recommend this app. 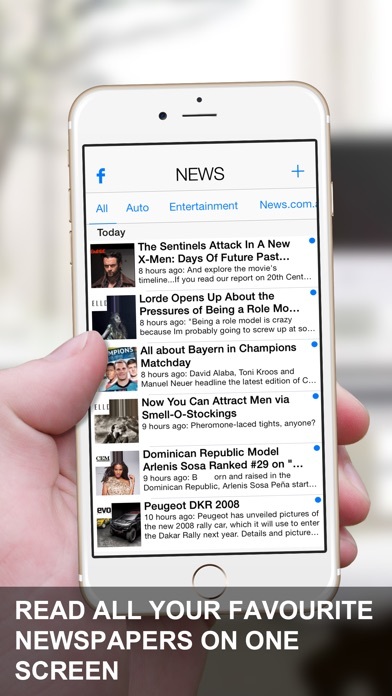 This is truly the only news app you'll ever need - I was thrilled to have come across it and didn't think twice about upgrading to support the dev - great work! Nice way to get news from many sources. My favorite way to read the news in the morning. I bought this app for push notifications/alerts. They are not working for any device I have installed this app on. I've tried a number of news apps and this one works. No nonsense, just the news. If I wanted flashy photos, I'd use another app, but I want an efficient way to quickly find what is happening. The best I've found. NO NONSENSE. Just a very well done RSS reader. Looks nice and what I really like is the auto selection of RSS sources. If you like reading about tech Just pick the select all under add sources section an you get a great selection of tech feeds. Very nice!! Had the free version which worked great but was getting tired of the ads so I bought the upgrade. Mistake. Won't load categories. Completely dead app. Total waste. Would give 0 stars if possible. I want my money back. Good bug fix. Back to GR8 App. Yea! The iPad bug is fixed! I have tested 7 rss news apps and chose this app for both my IPhone & iPad mini. The Savy Soda RSS News app is now BACK to be my favorite app of its kind. Good effort by the developer after 3 quick update tweaks. User Tip: use a pull-down gesture on the iPad left column to refresh the stories and icons. =RECOMMENDING=ONCE=MORE= Tested 16 times in 8 days. No special accounts! And it works really, really well. I got this app because I needed something to read my hobby RSS feeds. It works great for that. The news feature is just a great bonus. Lots of countries, lots of news organizations. Highly recommended. Like your balanced coverage of the news from many different points of you. Also the breadth of subjects you cover. locks up all the time with this version. Still eats up 1-2% of battery per minute and makes my 5S super hot. The program opens, but the Categories search bar will not function. As a result, nothing will come up from News, rendering the program useless. I've been using this app for years. Easy to use, but it still needs a few tweaks under the hood. This is the way a news reader should be. Great replacement to Fluent News! Five Star App No Doubt!!! 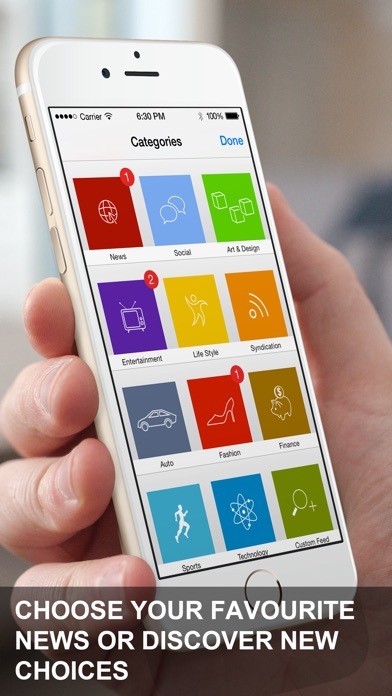 "This is the most well put together and versatile app period." 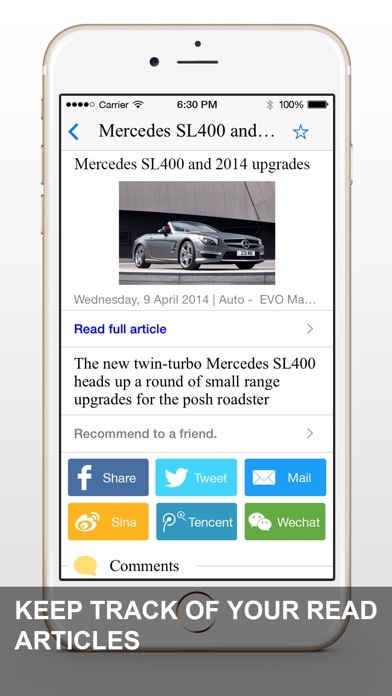 iPhone 5S it will not read an article! Freezes EVERY time, have yet to read an article. Testing must be an afterthought. Really, what were you thinking. Deleted off of my devices and this is the paid version! I looked at nearly all new apps in the App Store. This app is my favorite. I love the look, and rss feel. Very smooth feeling, and the app makes it very easy to share with other apps. This aggregator does exactly what I want. I've been using it for over a year now. Perfect for me so far. By far this is the best news app I've ever used! Simple and easy to use with all bunch of news categories. I highly recommend! they need to fix soon. I like the concept but this app needs work. I can't read it, need ability to darken and increase type size. It's all here -Look no further! This "little app" has it all! If you want news, sports, financial, world, political, technical ... It has it all!